Perhaps Stevenson's best-known work, this adventure novel set in the eighteenth century is inspired by the actual exploits of pirate Captain Kidd and the search for his buried treasure. 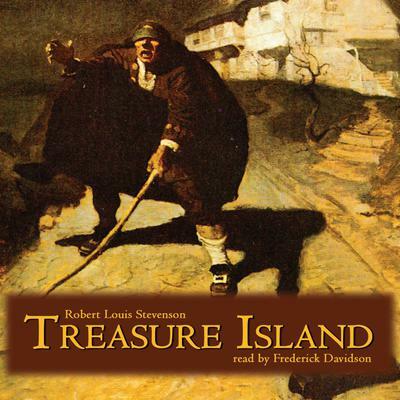 For pure imaginative delight, Treasure Island is unsurpassed. From the moment young Jim Hawkins meets the blind pirate Pew at the Admiral Benbow inn, to the spirited battle for hidden treasure on a tropical island, the novel spawns unforgettable scenes and characters that have thrilled young and old for more than a century. Stevenson's romance is noted for its swift, clearly-depicted action, its memorable character types-especially of Long John Silver-and its sustained atmosphere of menace. A story of a classic battle between good and evil, it illustrates one young boy's rite of passage into the dangerous world of mature responsibilities.